When holiday comes knocking, what's your way to embrace it? Hang out with your friends? Travel abroad? Or do some exciting outdoor sports? If you're tired of going out, why not do some indoor activities, like watching some new movies releases on DVD? For those children who prefer to relax their body and mind, that sounds like a great idea. In that case, here gathers the top 10 best kids movies on DVD so that the children can leisurely enjoy the best kids DVD movies at home to reach physical and mental pleasure. Tips: Scads of classic DVD movies for kids that you are not going to get bored watching. When you put your DVD disc to your DVD driver or DVD player for review, it's inevitable that the inserting and withdrawal actions will cause some physical scratch and damage to DVD discs. In a bit to forestall this trouble, a finer solution is to rip and backup these kids movies on DVD such that the vulnerable DVD discs can be protected for lifetime keeping. Here the cutting-edge MacX DVD Ripper Pro is the best one you can rely on to make this task done perfectly, ripping and backing up animated Disney or Hollywood DVDs (incl. new DVDs, 99-title DVDs and damaged DVDs) to computer, hard drive, USB drive, iPhone iPad Android tablets or phones with MP4 MKV MOV AVI, MPEG-2, ISO image, etc. format with untouched quality. 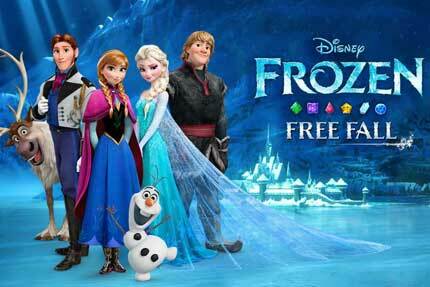 It's no exaggeration to say the laurel of the most popular DVD movie for children in 2013 goes to the sensational Disney Frozen, which narrates the story of unflinching princess Anna who sets out to find her estranged sister Elsa and to put an end to her icy spell that has trapped the kingdom in permanent winter. The indomitable spirits of Anna, the fabulous snowy yet frozen landscape, alongside the uplifting theme song Let It Go make this Disney DVD movie best for kids to watch. As one of the most sought-after DreamWorks animated movie, How to Train Your Dragon is utterly the unmissable DVD movies for kids, since it covers the novel story plot, classic dialogues and advanced 3D visual effect to make that dragon look vivid and true to life. In case you wonder how could the little man build a good friendship with the giant dragon, go to buy this top DVD movie to figure it out. Can't get enough from this movie? 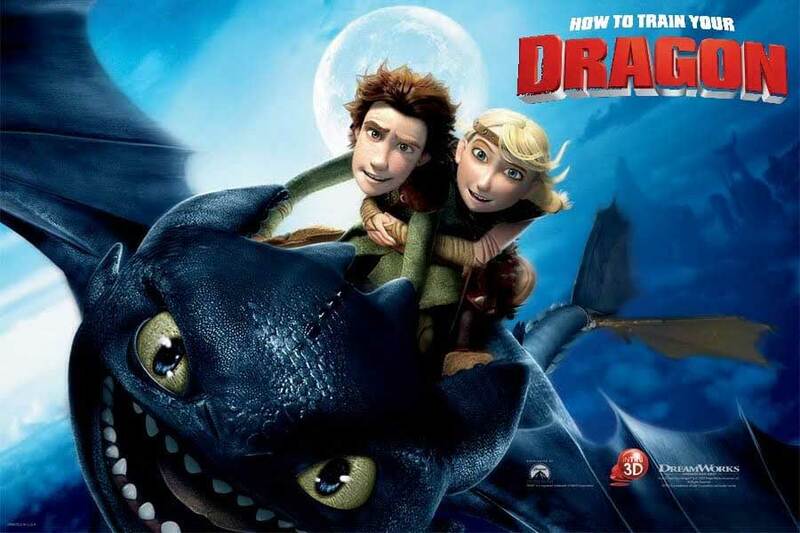 Go to watch its sequel-the latest animation to continue your dragon journey. This unfailingly good animated masterpiece-Shrek also comes from DreamWorks animation, which has attracted generation after generation. 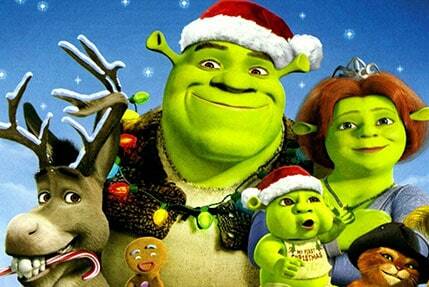 Even there is a saying that the childhood without watching Shrek is not called the perfect childhood. Indeed, Shrek brings too much wonderful memory for the majority of film buffs. The cute yet huggable figures and interesting movie plot are unforgettable. Aspire to know how the ogre Shrek travels along with an annoying donkey to rescue a princess from a scheming lord and finally wins her heart? Go and get this movie in a flash. 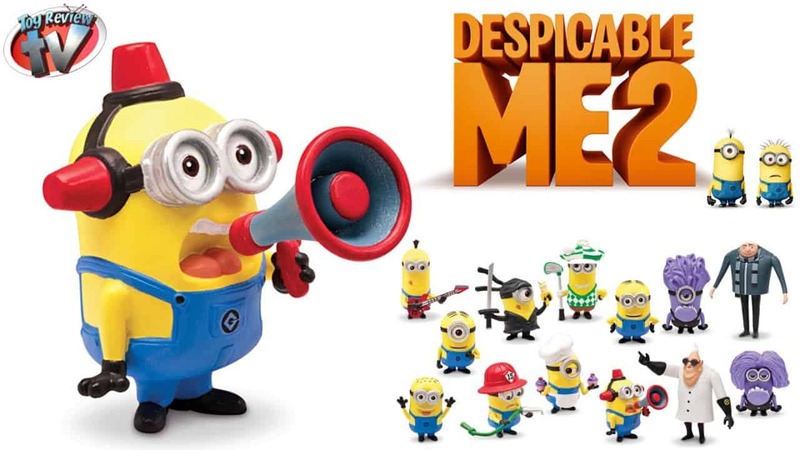 As the most anticipated American comedy blockbuster, Despicable Me 2 is out of this world, which continues the supervillain Gru's experience to have an arduous battle against a new yet powerful criminal after his lovely minions are being kidnapped and transformed en masse. What on earth Gru will do and how he successfully eliminates the enemy and salvages his minions from the evil hands? Watch this animated kids movie on DVD and you will find the distinguished answer from your imagination. By the way, the sequel - Despicable Me 3, is scheduled to be released on June 30, 2017, you can use a movie downloader to free download Despicable Me 3 movie trailer to have a sneak peek on this top Hollywood movie. 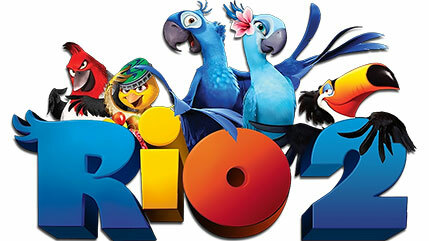 Thumps up for Rio's colorful yet splendid scene? Well, you will see even better animation design and enjoy more bright yet inspiring music. Rio 2 comes to us with the story of Blu, companied by his wife Jewel and three children, leaves their modern family for Amazon to look for their species. As Blu fits in the wild life, he meets various challenges and finally the biggest threat from the bad human pushes him to the edge of self-breakthrough. 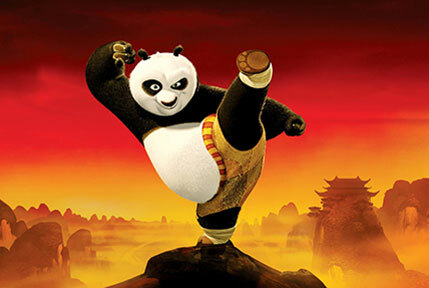 Kung Fu Panda stars Po the Panda, originally living an ordinary life, has been changed when he is chosen as the Dragon Warrior even though he is obese and a sheer new hand at martial arts. How could this plump, cuddly yet happy panda beat the bad guys hands down? The imaginative yet original panda story will split your sides with laughter. Expect to see more funny story happened on panda Po? Kung Fu Panda 2 is the very one to bring your drool to a stop. By the way, this kids movie on DVD costs only $5 on Amazon, and there are only 6 discs left in Amazon store. So you are suggested to purchase it as soon as possible and then copy the kids movies on DVD with a DVD ripper for collection. Ever watched the top funny kids movie Toy Story? If no, it's understandable since this animated DVD movie is a little bit far from our current times. 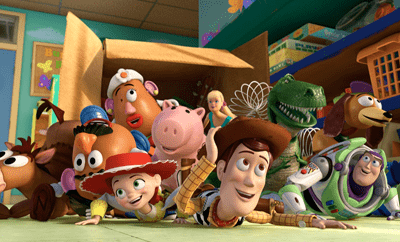 The Toy Story 3 is the second sequel of the 1995 shot Toy Story. This classic DVD movie not only gives the movie lovers a well-made piece of work, but also distributes its warm friendship throughout the movie. This Toy Story 3 mainly talks about the toys who are delivered to a day-care center by mistake, and it's up to Woody to persuade the other toys that they aren't abandoned and to return home. The 2014 Warner Bros adventure comedy film The LEGO Movie tells the story of an ordinary Lego construction worker, regarded as the prophesied 'Special', is recruited to join a quest to prevent an evil despot from turning the Lego universe into permanent halt. 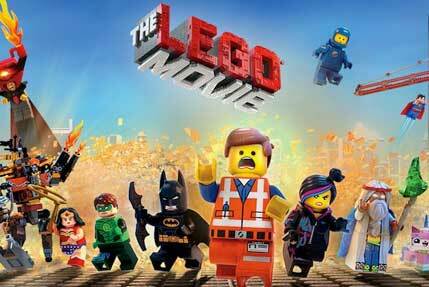 The Lego Movie rockets to fame as its debut on Feb. 23th, 2014 and has effortlessly grossed $183,015,455 in North America. It's safe to say that it deserves the title of one of the best kids DVD movies of all time. When it comes to the best DVD animated movie for kids and children, no one can tower over Disney Pixar movies, since the animation originating from Disney Pixar usually amazes the world audience with its unique characters and compelling story design. 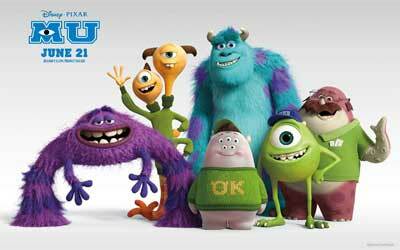 Among their massive prize-winning masterpieces, Monsters University is the must-mention one. Monsters University, awash with ceaseless humor, presents the fans with a story about the friendship between Mike and Sulley during their days at Monsters University - when they aren't necessarily the best of friends. Have watched so many movies concerning merely one super hero, like The Amazing Spider-Man 2, Iron Man 3, etc, how about one animation movie with a family of super heroes? That's pretty cool, right? 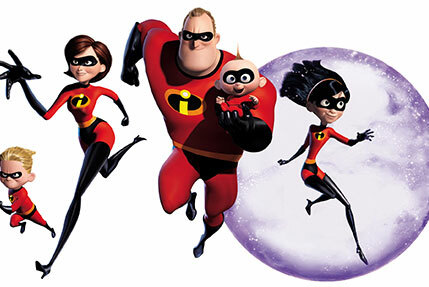 The Incredibles is just the one with a family of undercover superheroes, while planning to live the quiet suburban life, are forced to work as one to save the world. If you also want a family with super heroes owning different super powers, download the kids movies or watch this movie and find out your role and speciality. You can also rely on best DVD ripper for Mac to backup the Children DVD movie in case of any damage. Warm Prompt: Providing you have bought thetop animated kids movies on DVD version and plan to watch them on your portable devices without worrying about the time and space limitation, then the omnipotent MacX DVD Ripper Pro can accomplish this task easy as rolling off a log. Assisted by the advanced High Quality Engine and DVD decrypting tech, this fascinating DVD ripper app can aid you to rip and convert any DVD (even copy-protected by Disney New DRM tech) to Mac, PC, iPhone, iPad, Samsung , HTC, etc. acceptable video formats like MP4, MOV, AVI, FLV, MKV, etc. with up to 98% quality reserved.